To get a good dose of vitamin C which is easy to make and filling both, just grab some fruits, combine them with milk or curd and whip up an instant milkshake or smoothie. These are superb additions to breakfast and also in between meals. Apart from vitamin C, they are a chockful of protein, calcium and fiber too. So its nutrition in a glass – the high vitamin C here is enough to give a glow on your skin, strengthen your teeth and help in the overall development of the body. 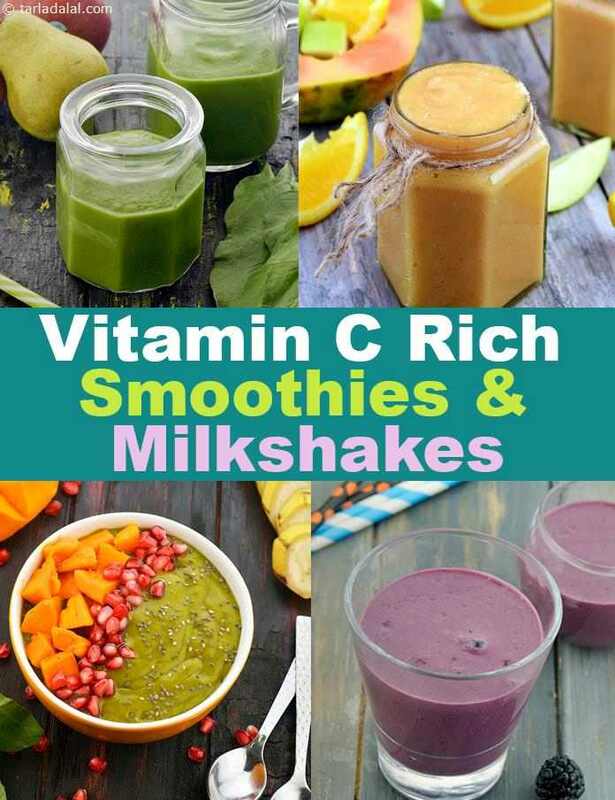 If you like this article on High Vitamin C Smoothies and Milkshakes, then you will enjoy the below articles on Vitamin C rich recipes. Orange banana smoothie, this yummy smoothie is just apt to pacify your mood swings. Banana imparts the required sweetness and ensure the curd is fresh because sour curds will call for more sugar.